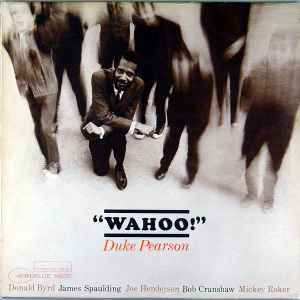 Duke Pearson was a great arranger and pianist. Here uses a septet that included Joe Henderson on Tenor, and Donald Byrd whose band Pearson had been a member of before falling ill, and being replaced by Herbie Hancock. Pearson penned the first five tunes, which are both cerebral and typically bluesy and funky. The last tune, written by Byrd, is a typical driving hard bop number. One of the best Blue Note albums from the time.